When it comes to safety, automotive makers like Mitsubishi Motors has the public covered. From the ground up, Mitsubishi vehicles are built to protect the driver and passengers, and with the technology of today, some safety features actually help prevent accidents altogether. Take a look at all the safety Mitsubishi has to offer. RISE Body Construction – All Mitsubishi Motors vehicles today are built with their signature Reinforced Impact Safety Evolution construction design that enhances passenger protection in the event of a collision with energy-absorption built into the front, rear, and sides. Front Pedestrian Impact Crumple Zones – The body construction of Mitsubishi vehicles are also designed to protect pedestrians. Crumple zones are now being implemented into the bumper and lip of cars to reduce injury to those on foot. Active Stability Control (ASC) – This system is designed to monitor the traction and grip of each tire. If wheel slip is detected, an anti-lock braking system is engaged and applies the brakes to the wheels with traction to avoid a spinout. Anti-Lock Braking System (ABS) – The ABS not only applies the brakes to maintain stability and traction; it also prevents wheel lock and skidding. Traction Control Logic (TLC) – Another feature for driver control, like all cars that have stability and traction control systems, TLC keeps wheel spin amongst all tires equal by applying brakes to a freely spinning wheel and applying torque to it, the opposite of ASC to bring an equilibrium between all of the tires. 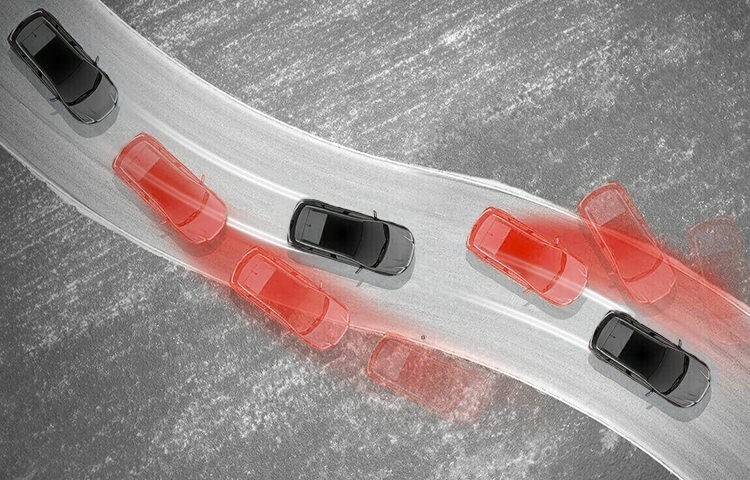 Adaptive Cruise Control – Like cruise control, the driver may set a speed for the car to maintain, but with adaptive cruise control, the car will automatically adjust its speed to maintain a safe distance from vehicles ahead of it. Forward Collision Mitigation – Although a car can’t avoid an incident completely without driver control (yet), this system will warn the driver if approaching another vehicle too quickly and will apply the brakes if the driver does not react in an attempt to avoid an accident or decrease the intensity of impact. Lane Departure Warning – This system is helpful to alert absent-minded drivers when they are leaving their lane or getting to close to the lines separating different lanes. Might also work for conditioning Florida drivers to use a turn signal – for once. All of the above safety features are standard or available on all Mitsubishi vehicles today.